We’d love your help. 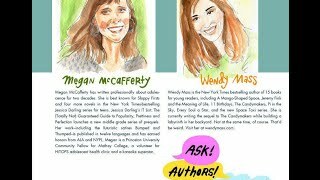 Let us know what’s wrong with this preview of Jessica Darling's It List 2 by Megan McCafferty. Jessica Darling is getting the hang of seventh grade -- finally! While her old BFF, Bridget, is busy talking (nonstop) about her new boyfriend, Burke, Jessica tries to fit in with her new friends, Sara, Manda, and Hope. The IT List instructions from her sister, Bethany, and an epic slumber party may help Jessica secure her spot in the cool clique, but does she even want it Jessica Darling is getting the hang of seventh grade -- finally! While her old BFF, Bridget, is busy talking (nonstop) about her new boyfriend, Burke, Jessica tries to fit in with her new friends, Sara, Manda, and Hope. The IT List instructions from her sister, Bethany, and an epic slumber party may help Jessica secure her spot in the cool clique, but does she even want it? To ask other readers questions about Jessica Darling's It List 2, please sign up. I found the page to read but there was no text. What do I do? This is the second book in Megan McCafferty's middle-grade Jessica Darling series, and it's just as full of heart as the first. Jessica is just as innocent, witty, and feisty about friendship as she was about popularity. The premise is similar - Bethany, Jessica's beautiful, much-older sister, has yet another list that guarantees that Jessica will be able to navigate friendships in her middle school years. The problem? The list is, once again, written in Bethany-speak, and leaves a lot of room for interpretation. In Jessica's case, that usually means the wrong interpretation and a lot of fumbles and embarrassing moments. What It List #2 perfectly conveys is that confusion that happens when your friends are changing and puberty is hitting, and you don't know how to bridge new and old friends. I don't know a girl in the world who won't identify with Jessica and her attempts to navigate friendships - it's that real. And even if Jessica does go to extremes in her ideas of how to solve friendship problems, it's all done with such heart and innocence that you just want to hug her. "The worst part about the nastiness Manda and Sara and Dori and Bridget were spreading about each other? Well, besides the fact that I was at the center of it? Some of the smack talk--just a teensy little bit--was possibly true. I could see how Dori and Bridget might envy Manda's persuasive personality or Sara's all-knowingness. I understood why Manda and Sara might wish they had boyfriends like Dori and Bridget or a friendship that went all the way back to crib. I just wish they didn't have to be so mean about it." What I liked most about It List #2 is that it isn't preachy about how to navigate these problems, and there really are no right answers. Jessica gains a lot of wisdom about how to be a friend, but I think what she ultimately comes away with is more of a feeling that it is OKAY for friendships to change, and it's okay for her to not understand. She can just let people be and try her best to be a good friend. Of course the other thing about It List #2 is that it's advances our characters, turning them into the people they are and will be in the original Jessica Darling series. Manda and Sara are kind of similar to who they will be in Sloppy Firsts, but Jessica's friendship with Hope and some of the cross-country team girls deepens in this book. And, like in the first book, there are definitely some interactions with Marcus Flutie. I really don't want to spoil these, but let's just say that Tween Marcus is a very accurate representation of who he will turn out to be in the later books - even more so in this book than in It List #1. The friendship between Jessica and Marcus is absolutely adorable and like a true fangirl, I totally gobbled it up. Wisdom Comes With Age: If you're a fan of the older Jessica Darling novels, you know that Jessica's grandmother Gladdie is, like, the coolest elderly person in fiction. I was SO happy to see her in this installment, and she is just as hip, and wicked smart about life as she was in the original books, with an added bonus: younger Gladdie BAKES. I am desperate for her recipe for Jessica BARlings! If you love the original Jessica Darling series, reading these books will give you so much joy and insight into the characters and how they came to be - it's definitely a fun, light, and quick read for fans. But beyond that, It List #2 left me wishing that I'd had these books as a guide to my tween life when I was a kid. As a 10-13 year old, you need a dose of reality and to know that it's totally normal to not understand what's cool, and what isn't. I really hope there are librarians, teachers and parents out there who are giving this to pre-teens - I think it will help a lot of young girls through middle school. I liked this book even more than the first book and flew through this one so quickly. Jessica gets herself into trouble again by following another of her sister’s wacky It Lists but by the end learns a lot about friendship. I found this book to be much more relatable than the first one and really liked that it tackled the topics of changing friendships, different friendship groups and keeping your old friends while making new ones. This was a very young middle grade read and didn’t have much of a plot but I still really enjoyed it! This is the second It List book, featuring Jessica Darling (of Sloppy Firsts fame) in middle school. Seventh grade is underway and she's still trying to fit in, continuing on from where the first book left off. Her older sister provides her with a how-to list about making friends and being popular, and Jessica somehow ends up hosting a sleepover that doesn't quite turn out as planned. As with the first book in this series, I enjoyed seeing appearances of characters who'd go on to be major players This is the second It List book, featuring Jessica Darling (of Sloppy Firsts fame) in middle school. Seventh grade is underway and she's still trying to fit in, continuing on from where the first book left off. Her older sister provides her with a how-to list about making friends and being popular, and Jessica somehow ends up hosting a sleepover that doesn't quite turn out as planned. As with the first book in this series, I enjoyed seeing appearances of characters who'd go on to be major players in the original series about Jessica's high school years. This was a very cute read and I enjoyed Jessica's narration in here. I'm pretty sure that everyone had some of her thoughts while in junior high, trying to figure out where they belong. One of the parts that seemed pretty spot-on featured Jessica musing about how everyone but her seemed to know what the "important" stuff was for the junior high social scene and why didn't she automatically know too? I also loved the depiction of the relationship drama, with Jessica having a three-line exchange with a "friend's" boyfriend and that friend immediately thinking Jessica must have been flirting. More like a 3.5 but whatever. This book was a total letdown. I was seriously so sad. There was no plot, no problem, and therefore, no clear resolution. Okay- I like the storyline, but STILL. There was a supposed turning point- but noooooooo; I found another scene afterwards that could've been a turning point as well. HOW AM I SUPPOSED TO KNOW WHAT THE PROBLEM AND SOLUTION IS?! OMG I TOTALLY KNEW JESSICA AND SCOTTY WERE GETTING TOGETHER THOUGH I SHIP THEM. Bridget is annoying. So is Manda. So is Sara More like a 3.5 but whatever. Bridget is annoying. So is Manda. So is Sara. So is Dori. I like Hope. Another amazing IT List novel. How does Megan Mccaffetty capture middle school so perfectly? She got all the weird girl power dynamics and passive aggression exactly right. I loved the appearance by Gladdie! And more Marcus Flutie, of course, and I'm enjoying see Hope and Jessica's friendship develop. Learning her Grandma is staying over for eighteen days, Jessica is excited to be able to bake sweet treats with her grandma and get her advice on her friend situations. While Bridget keeps taking Jessica's homemade sweets and classifying them as her own to impress Burke, Jessica is expected to always be there all the time Bridget and her many potential break ups with Burke may occur. Jess then gets her own spell of boy trouble between her and Scotty as Dori thinks they like each other. Jess later Learning her Grandma is staying over for eighteen days, Jessica is excited to be able to bake sweet treats with her grandma and get her advice on her friend situations. Jess then gets her own spell of boy trouble between her and Scotty as Dori thinks they like each other. Jess later learns that actually Scotty has feelings and they're not for the girl he's dating after all. Manda and Sara then seemingly peer pressure Jessica into holding a sleepover for them, Hope and Bridget though Dori and some of the guys end up attending too but it of course doesn't go to plan, ending in near death for one of them, leaving the sleepover early for others and Jess's grandma calling the police on the kids who snuck off! Then Aleck, really known as Marcus and Jess share a few laughs again and Marcus still acts really sweet around Jess despite the sleepover events. Hope then being her new best friend really, confides in Jess about her period coming and that being why she acted oddly at Jess's sleepover. Jess feels happy knowing she's a trusted friend and realises being a slow developer body wise may not be a bad thing after all. Her sister Bethany tells Jessica she has a chance at readmission to college and not all hope may be lost for her after all! Another fun read which may have child-like language of high schoolers but will make you laugh all the same with a great fast paced storyline. These are such fun, quick reads and they're making me want to reread the original JD series so bad (at least the first two books)! Like mentioned in the first book's review of the spinoff, they're definitely not canon, but I think it makes it more enjoyable in a sense, because it gives you an idea of how Jessica and Marcus would interact at a younger age - still angsty, still flirty, still so entertaining to read about. I also loved Scotty in this book and I find his reasons behind liking Jess re These are such fun, quick reads and they're making me want to reread the original JD series so bad (at least the first two books)! Must read next one! So sad about the falling out with with Bridget. Those two are meant besties! Oh, Jessica Darling, crusher of my middle grade shippy heart. Snarky voice that makes me know you’re a kindred spirit. Judgmental nature that makes me wonder if you are in fact me. I love Jessica Darling, though I have not yet gotten the bravery to venture past book two in her original series. I know it’s weird to call myself a big fan when I didn’t even read half of it, but I am so deal with it. The middle grade Jessica books ar For more reviews, Cover Snark and more, visit A Reader of Fictions. Like the first It List, this book is a sweet piece of fluff--it's nowhere near the level of its origin series, but it's still funny and different enough to stand out from other similar stories. I like it a little less than the first one, probably because the storyline feels a little more run-of-the-mill, but it's still a short, amusing read. These books don't have all that much of a plot--this one has even less than the simplistic Guide to Popularity, Prettiness, and Perfection--and it's really o Like the first It List, this book is a sweet piece of fluff--it's nowhere near the level of its origin series, but it's still funny and different enough to stand out from other similar stories. I like it a little less than the first one, probably because the storyline feels a little more run-of-the-mill, but it's still a short, amusing read. These books don't have all that much of a plot--this one has even less than the simplistic Guide to Popularity, Prettiness, and Perfection--and it's really only forgivable because McCafferty is such an entertaining writer and Jessica is such an endearing, relatable protagonist. I'm happy to spend time in her world, even if the storyline isn't as polished or tight as it should be. In a way, that almost made this book feel true to life--things aren't neatly resolved by the end and some conflicts are ongoing. I particularly appreciated the part where Jessica admits that she's drifted away from some of her older friends and might need to build new relationships--because who hasn't gone through that? What was really refreshing about It List 2 was how much Jessica did not care about boys. There's plenty of that ridiculous middle school dating drama in this book--which, as Jessica acknowledges, mainly consists of couples holding hands and not really paying any attention to one another (thank you for an accurate portrayal of middle school dating, Megan McCafferty)--but Jessica wants no part in it. It's such a nice change to see a female protagonist who really doesn't have any romantic interest at this point in her life. We see authors shove romance earlier and earlier into their characters' lives--we have teenagers professing undying love at sixteen and even middle-grade books often end with a couple. It feels so much more true to life to have a protagonist who simply couldn't care less. I was sad to see that there was next to no Mr. Pudel in this book. It was no secret that Jessica's time in Woodshop was my favorite part about It List #1. And although Woodshop does make an appearance, it's more for the sake of Jessica's interaction with Aleck than anything else. Their interactions are cute, but they feel forced from a storytelling perspective--because everyone who has read the original series knows who Aleck is and what role he will play in Jessica's life. But there was some nice foreshadowing about his relationship to Jessica's grandmother, who also made a welcome appearance in this book. Bottom line: this book (and the It List series in general) is nothing to get too jazzed about, but you won't regret reading it. It seems a little more trite and stereotypical than the other series--the scenarios are all a little too familiar, whether it's from a literary or personal standpoint--but it's still cute, hilarious, and often way too on the money in its dissections of middle school culture. If anything, these books make me want to reread the originals now that I've gotten a glimpse of the characters' back-stories. I read this in one afternoon. As a fan of the original book series, I will read anything involving these characters. Honestly, I can't deny that fact. This one came in the mail the other day, and I couldn't resist picking it up right away. Jessica Darling was there for me during a tough time. Specifically, she was there for me the summer I graduated high school in 2003 and was moving away from everyone and everything I knew. This story was enjoyable, but I did have some minor issues with it. The I read this in one afternoon. As a fan of the original book series, I will read anything involving these characters. Honestly, I can't deny that fact. This one came in the mail the other day, and I couldn't resist picking it up right away. Jessica Darling was there for me during a tough time. Specifically, she was there for me the summer I graduated high school in 2003 and was moving away from everyone and everything I knew. This story was enjoyable, but I did have some minor issues with it. The issues I have: Jessica and crew would have graduated from HS in 2002. In middle school, these kids would not have used terms like "deets" or "try-hard". Those are both modern slang terms that my generation didn't use, but my current students DO use. They also wouldn't have had cellphones or text messaging in the mid to late 90s, so I'm not sure what was meant by "blee-bloop" conversations instead of literally talking to someone on the phone. I guess I could associate this with the old school AOL Instant Messenger... And I guess Jessica's story about dropping her phone in the toilet COULD be a cordless. However, I felt like the story was dancing around the time line to make it feel modern, despite the fact that the original YA books are firmly set in the early 2000s. The good: Jessica's experience with the Scotty/Dori, Manda/Sara, and Bridget/Dori situation felt all too familiar. In fact, I was getting a little stressed out because it was bringing back horrible memories from my 7th grade experience (To my "friends" from middle school: you can all go to hell). This might sound like a bad thing, but it connected me to the character on a deeper level. Sure, middle school was a terrible experience, but I don't feel alone in the misery anymore lol. While reading Jessica Darling’s IT List Part 2, I was reminded of how much Jessica marches to her own drum. Even though she gets comments on the old band t-shirts she loves to wear and how she wants to dress up like the Periodical Table of Elements for Halloween, she doesn’t change. After her tragic turn as the school mascot, Jessica gets another list from her older sister Bethany-- this one a little more cryptic than the last and dealing with the issue of friends and enemies. This is something that Jessica really struggles with. Since she isn't on the CHEER TEAM and her former BFF Bridget is. She also feels left out of Manda and Dara's dynamic duo, and is not as comfortable with boys as her friends are. When Jessica is seen talking to Scotty, Dori's boyfriend, rumors circu After her tragic turn as the school mascot, Jessica gets another list from her older sister Bethany-- this one a little more cryptic than the last and dealing with the issue of friends and enemies. This is something that Jessica really struggles with. Since she isn't on the CHEER TEAM and her former BFF Bridget is. She also feels left out of Manda and Dara's dynamic duo, and is not as comfortable with boys as her friends are. When Jessica is seen talking to Scotty, Dori's boyfriend, rumors circulate that they would be an item, and Jessica worries about the effect this rumor will have on her social life, especially since she is taking notice of Aleck, who is in the wood shop class SHE IS NOT SUPPOSED TO BE TAKING. Cross Country seems to be the one place where Jessica is happy and comfortable, especially after a group Halloween costume falls apart and a slumber party fails disastrously. Never fear-- Jessica survives and will be back with another book next fall. Strengths: Like The Dork Diaries and The Clique, this book showcases the worst of middle school girl behavior. Reading about this is somehow very comforting to girls going through similar experiences, even though I can only think of ONE student in 20 years that was anywhere close to being as annoying as Manda and Sara. It's nice that Jessica is a "late bloomer" and not as boy crazy as some of her friends. Her grandmother makes a nice appearance. 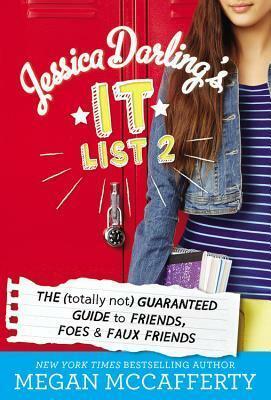 3.5 A fast, fun read, ideal for tweens and young teens, Jessica Darling's It List #2 is a realistic, not-too-sketchy portrayal of the transition from elementary to middle school. Jessica Darling, a 7th grader attempts to reconcile two rival friend groups as well as master an unexpectedly challenging woodshop. Left behind by her elementary school friends, who've moved on to the social elite of the "Cheer Team", Jessica forges an alliance with the founders of the rival "Spirit Squad". Counting on 3.5 A fast, fun read, ideal for tweens and young teens, Jessica Darling's It List #2 is a realistic, not-too-sketchy portrayal of the transition from elementary to middle school. Jessica Darling, a 7th grader attempts to reconcile two rival friend groups as well as master an unexpectedly challenging woodshop. Left behind by her elementary school friends, who've moved on to the social elite of the "Cheer Team", Jessica forges an alliance with the founders of the rival "Spirit Squad". Counting on advice from her mega-popular older sister, Jessica navigates the treacherous waters of middle school society. I especially related to her lame attempt to weasel her way into the popular clique with an ill fated sleepover (shades of 5th grade summer!) at which she attempts to unite the rival factions. As far as the MG books go, I preferred this one to the first one. Jessica seems a lot more like herself and her friendship with Hope (and with our Marcus Flutie) is really starting to develop. I would be willing to bet that by the next book, we'll definitely see the Jessica Darling we know and love. I love these books. You should read them if you haven't already. As much as I love being back in Jessica Darling's world, I am struggling a bit with how incredibly young this new series is. It didn't bother me as much in the first book, but this one felt even younger for some reason. (view spoiler)[ I'm also having a problem with Marcus's presence in the series. I said in my review of the first book that I was okay with it because I love Marcus, and I still feel that way. However their "casual acquaintance" relationship advanced quite a bit in this book, and As much as I love being back in Jessica Darling's world, I am struggling a bit with how incredibly young this new series is. It didn't bother me as much in the first book, but this one felt even younger for some reason. I will religiously read anything about Jessica Darling, but I didn't love this book. It's very middle school drama, and it's infuriating how Jessica strives to be like Manda and Sara because they annoy me endlessly. And, again, I'm annoyed with everything to do with Aleck. You think that when Jessica becomes obsessed with Marcus at sixteen (just over three years after this book takes place!) she'd mention Aleck/Clem and woodshop, that they kind of had a friendship, (view spoiler)[that he'd been I will religiously read anything about Jessica Darling, but I didn't love this book. It's very middle school drama, and it's infuriating how Jessica strives to be like Manda and Sara because they annoy me endlessly. And, again, I'm annoyed with everything to do with Aleck. You think that when Jessica becomes obsessed with Marcus at sixteen (just over three years after this book takes place!) she'd mention Aleck/Clem and woodshop, that they kind of had a friendship, (view spoiler)[that he'd been to her house! (hide spoiler)] Obviously Sloppy Firsts was written years before this one, but the purist in me is annoyed at this lack on continuity. Jessica Darling takes her older sister's advice once again . . . and once again, Jessica Darling messes up her chances to be popular like her older sister was. Jessica tries to figure out the motives of her friends and because she doesn't understand her friends, she never gets their motives right. She also doesn't understand boys all of a sudden. And what's with her sister dating a computer geek? And wood shop! How did Jessica get stuck as the only girl in wood shop when all of her friends are in Jessica Darling takes her older sister's advice once again . . . and once again, Jessica Darling messes up her chances to be popular like her older sister was. And wood shop! How did Jessica get stuck as the only girl in wood shop when all of her friends are in family and consumer science class? Wood shop is sure to wreck Jessica's straight-A average if her partner doesn't come up with better ideas for their joint project. Honestly I am only continuing in this series due to my affinity for the Jessica Darling original series. It is nice to see the characters again, albeit at a younger age. I do think that McCafferty has morphed the characters into younger versions of themselves verses the Jessica Darling series rather well. I don't find myself questioning whether this or that character would actually grow into the ones in the other series. Jessica Darling's It List 2 is cute and at times funny but ultimately shallo Honestly I am only continuing in this series due to my affinity for the Jessica Darling original series. It is nice to see the characters again, albeit at a younger age. I do think that McCafferty has morphed the characters into younger versions of themselves verses the Jessica Darling series rather well. I don't find myself questioning whether this or that character would actually grow into the ones in the other series. Still enjoying Jessica Darling and the trauma of her 7th grade year. Still not sure if an actual 12 year-old girl would enjoy these. I enjoy them so much because I enjoyed McCafferty's first two Jessica Darling novels, which are not appropriate for 12 year-old girls (and the last three Jessica Darling novels are not really worth reading for anyone . . . just sayin'. They went downhill fast after the second one. ), and it's fun to see younger versions of the same characters. Plus, Jessica's combin Still enjoying Jessica Darling and the trauma of her 7th grade year. Plus, Jessica's combination of insecurity, kindness, snarkiness, and geekiness is endearing. As a fan of the original Jessica Darling series, I am not the target demographic for this new middle-grade series. But because I like Jessica's character so much, I thought it would be fun to read them anyway. And it certainly is. Middle school Jessica lacks some of the acerbic wit and wry cynicism that I like so much about the original, high-school Jessica, but her take on her peers middle school antics and drama is fresh and fun to r I received a copy of this book through a Goodreads giveaway. I am absolutely loving this series. I can totally relate to Jessica in almost every single way because I feel like I went to all the same exact things she's going through in this book just a while before she did. In this second installment in the series, Jessica is struggling with her many friendships. She's having trouble building the ones that really matter, and spending too much time worrying about the ones that are making her life miserable. Then some complicated boy drama comes along to mak I am absolutely loving this series. I can totally relate to Jessica in almost every single way because I feel like I went to all the same exact things she's going through in this book just a while before she did. In this second installment in the series, Jessica is struggling with her many friendships. She's having trouble building the ones that really matter, and spending too much time worrying about the ones that are making her life miserable. Then some complicated boy drama comes along to make everything more confusing than it already is. I can't wait to read the next book and am SO EXCITED for the movie! I really liked the first It List book, but I can't say the same for this one. I was very distracted by many of the words written in all caps, the narrator's overuse of 'ack' and 'har dee har har' and other repeated sayings. Most of the characters are not likable but Jessica continues to be friends with them (even she realizes they are just really half-friends). Maybe I just wasn't in the mood for this book, but it has turned me off from reading the next book and any future installments. Oh Jessica Darling. I love how hard she tries, how much she falls short of her intended outcomes, and how well things turn out anyway. I will say I am surprised by how much Marcus is in these books. I kind of got the idea that she didn't really have much history with him in the first book of the original series...but I suppose all these moments in middle school don't add up to "history". Either way, I am enjoying this series as well!